When Is It Time for Professional Plumbing Repair? Are you one of those people with an “if it ain’t broke, don’t fix it” mentality? Well, we understand the logic there, but let us ask you this—what if you don’t really realize that “it” is “broke”? Then what do you do? Because a lot of problems won’t cause immediately obvious issues, but can still pose a threat. That is why we are going to talk about when you should schedule professional plumbing repair in Chesapeake, VA, in today’s post. If you ask us, it always pays to play it safe when it comes to your plumbing system. 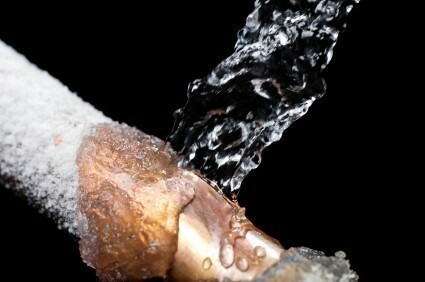 Remember, delaying to schedule plumbing repairs does not only put your plumbing system at risk. It puts your property at risk. Are You Having Trouble with Water Pressure? There are a lot of different signs that you may have a leak in your plumbing system. The most obvious, of course, is a visible leak. You don’t have to actually see water spilling out of pipes to realize that there is a problem, though. Nor do you have to step onto a soggy carpet to realize that there is an issue. If you have low water pressure in your home, despite the fact that your water pressure used to be perfectly respectable, then it is definitely possible that you are dealing with a leak somewhere in the system. If it’s local to one area or fixture, then it may be in a single supply line. If it’s throughout the house, however, it could be a leak in your main water line. We’ll figure out what the situation is. Do You Smell Strange or Unpleasant Odors? What the heck would a bad smell have to do with a water leak? Well, damp conditions can lead to musty odors and mildew throughout the house. Mold may begin to develop and wood can rot, too. This can all lead to strange and unpleasant odors in the house. Then, of course, there is the fact that it may not be a water leak that you’re dealing with. If you have a leak in a sewer line, or if you have backed up drains, then you’ll definitely be counting on your nose to alert you to problems. The, um, “good” news here is that at least the warning signs aren’t subtle. They’re also nothing you’ll want to just put up with, so give us a call if your nose gives it away! It’s maddening, isn’t it? You’re not using water. You’re not running the dishwasher or cleaning the linens. But still—still—you hear water running. What gives?!? Don’t worry. This is not some Edgar Allan Poe tale of terror. You aren’t going mad. You may well be hearing water. However, it doesn’t mean it’s coming from a faucet you left on. You could have a leak in the system somewhere, even a slab leak (a terror in its own right! ), that is sounding the alarm. We’re the pros that you want on the case to diagnose the problem accurately. Make House Call Company your plumber of choice. Contact us and see how we can make you smile.